Mo Salah was easily the best player in the Premier League last season and after a slow start to the new campaign, the Egyptian is finally getting back his groove. And all this success has certainly won the forward numerous fans along with a number of awards. But the latest appreciation directed towards Mo Salah has instantly become the subject of debate on social media. Sculptor Mai Abdel recently created a bust of Mo Salah to celebrate the forward’s success and fame. But in all honesty, that statue is a bit bizarre. The statue has made the sculptor and Mo Salah laughing stocks on social media with many comparing it to that in-famous Cristiano Ronaldo bust. 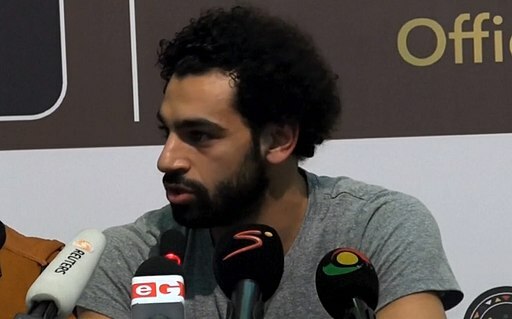 But Mai Abdel has now revealed that Mo Salah himself got in touch with him and had some really nice things to say about him. “International and our hero Captain, our player Mohamed Salah personally contacted me just now and encouraged me to continue. Mo Salah is often referred to a man with a heart of gold and the Liverpool man is quite easily the most famous personality in Egypt.